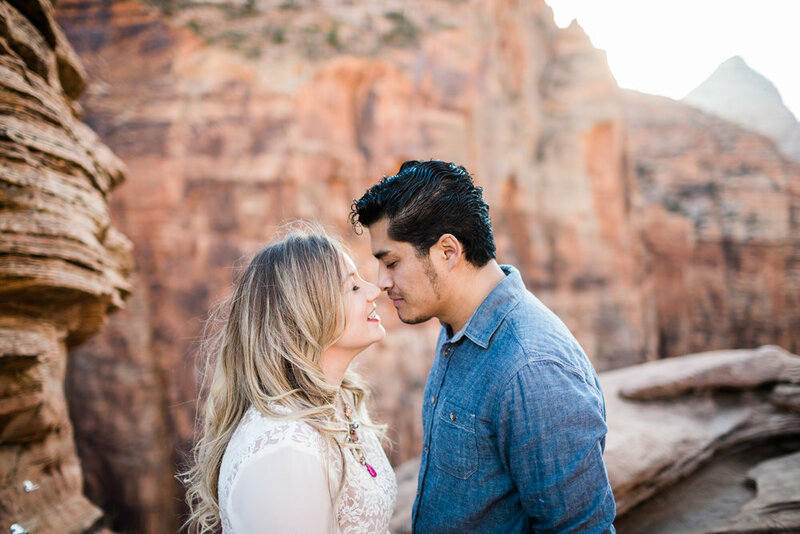 Zion National Park is hands down my favorite place for an engagement session. In fact, it’s probably my favorite place to photograph anything— weddings. couples, families, you name it. 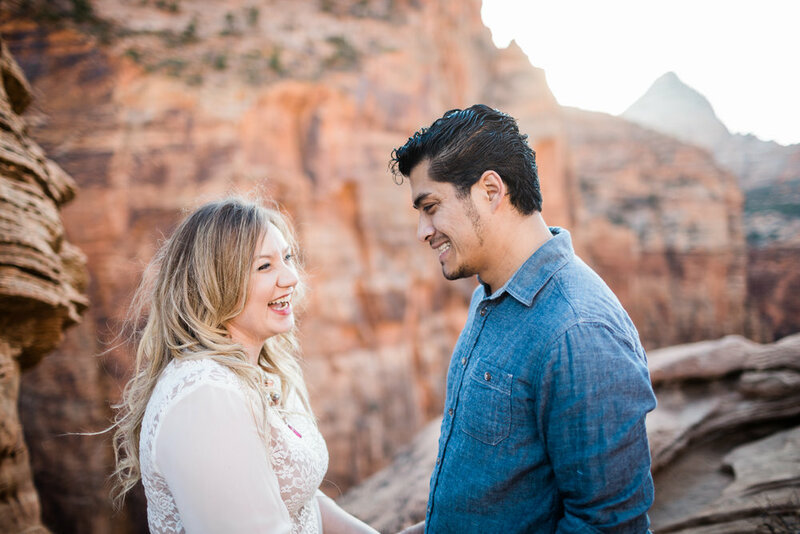 I’ve been coming to Zion to play and hike since I was a child, and I’ve been photographing weddings and couples there for the past 7 years. There is nothing like it! 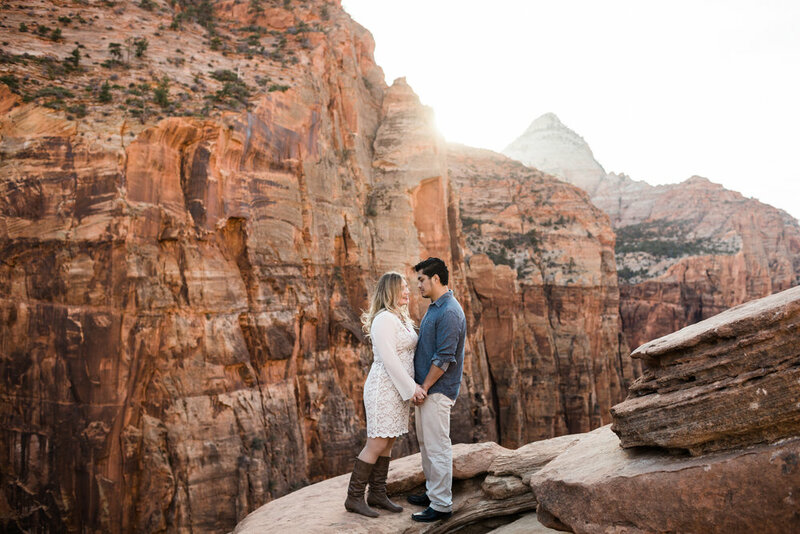 I was really excited when Shara told me she wanted to hike to this spot in Zion for their engagement photos. We picked a day in the off season to beat the crowds and I’d say it was well worth it! I loved working with these two for their engagements and wedding day! They are truly kind and genuine humans. Their happiness and love really radiates from their photos, don’t you think? Make sure you scroll to the end to check out their rad engagement video by Madison Rhoton.